Happy Pink Saturday everyone! I've been keeping my little hands busy this week making these cute microscope slide glass tags. 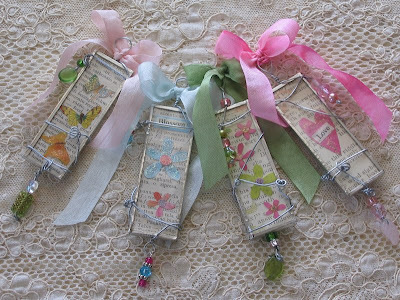 I made them once for Christmas ornaments/decorations, but thought it would be fun to do some for spring (can you tell I'm anxious?). The top picture is of one side and the bottom picture is the reverse of the same tags. I hand made each of them, using both vintage and new paper, silver wire, and Czech glass beads. 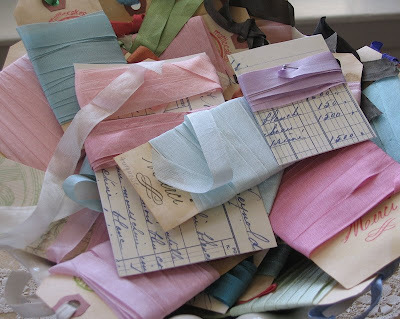 Topping them off is a little vintage rayon seam binding bow. 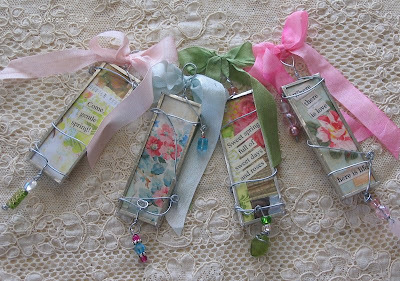 I've used these as a very nice addition to a package, a little thing to hang in your window, tree ornaments, and put around the neck of an old bottle to add a little pizazz. And each one has some pretty PINK to whet your appetite. They are available now on my website, Our Cottage Garden. After you check them out, pop on over to Bev's place at How Sweet the Sound and visit the other participants of Pink Saturday. Oh and by the way, my husband I have been invited to a Mardi Gras costume party tonight. What does one wear? Ideas (quickly, please) would be much appreciated. I know you wonderfully clever bloggers out there are going to have some super thoughts on this. I am a bit overwhelmed right now with the building of my art and antiques studio as well as life in general, so today's post is just a couple of pretty pictures I took, no more, no less. I've really gotten into the old rayon seam binding thing and went on a little binge lately. Even thrown in a bowl, they are sure pretty. Hope to be back soon with a little more substance. Just wanted you to know I was thinking of you out there in Bloggerland. 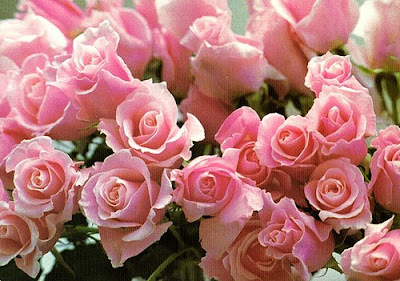 Happy Valentine's Day from French Laundry (that's me) to you! I had this phenomenal ALMOST vision of this post in my head ever since Lesley over at Flatwoods Folk Art said she was hostessing this fun party. "In my head" and "almost" being the key words. Now it is time to post, and, like so many of you out there, I'm coming down with some sort of crud; sore throat, cough, you know the drill. So, this will be my attempt, after which I will grab my pillow and blankie and assume the position. What does one think of on Valentine's Day? Romance, beauty, and love all come to mind. I think of my Mr French Laundry who's a pretty darn special guy. 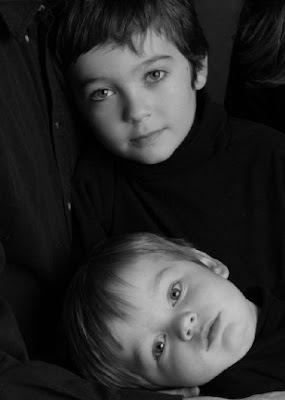 I think of my sweet boys who are definitely the apple of my eye, even when they're a wee bit naughty. 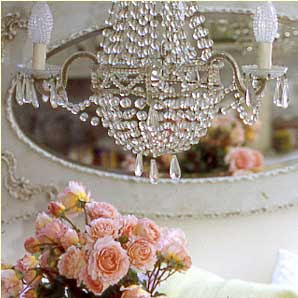 And then I think of nostalgic Valentine's, roses (of course), and pretty vignettes. 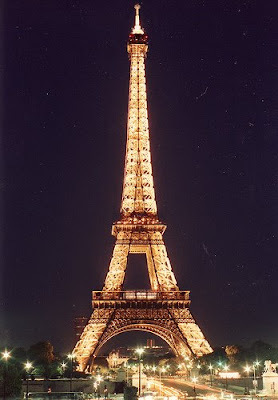 France comes to mind because it is home to Paris, one of the world's most romantic cities. Sweet cherubs and a general softening of your usual look...I present to you a few of my personal favorite things. What are your favorite Valentine things/traditions/memories? 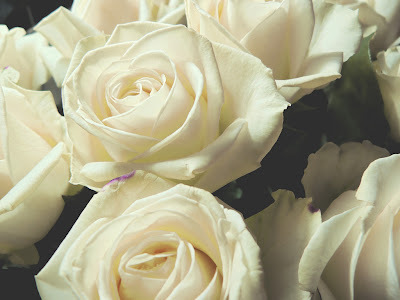 I'd love to read your comments... Creamy white roses- my all time favorites and certainly an elegant and romantic look for Valentine's Day or any day. A vintage inspired Valentine I made for a Valentine's swap. The ruffle is a piece of brown tissue paper that I gathered up since I was sans crepe paper. I think it turned out nice and it was sure fun to do (especially the glitter!). 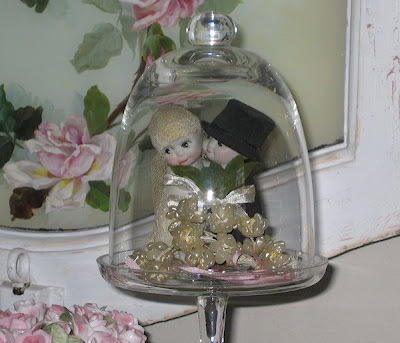 An antique Raphael Tuck Valentine sold recently on Ebay by my friend Denise. 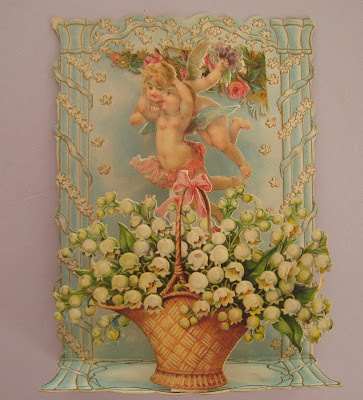 The prettiest antique Valentine EVER, also recently sold by Denise, Ebay seller winter-garden. I tried unsuccessfully to score this one, so I guess pictures will have to do. This is one of the places I'd like to have my "you are here" mark on. 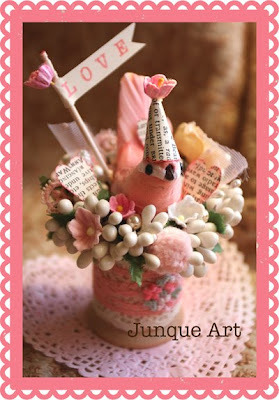 An adorable little birdie that was made in kit form by Junque Art. SO cute! 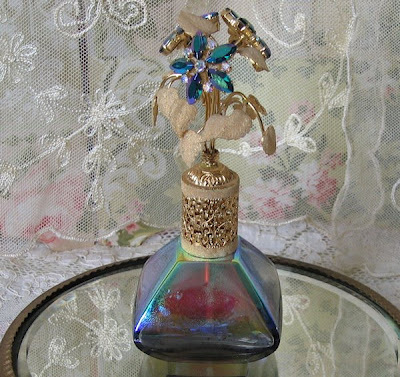 A stunningly beautiful vintage iridescent perfume bottle with Aurora Borealis rhinestone top, available from me , seller name french*laundry. The list could go on and on of my favorite things, but I want to leave you time to go by and visit the other participants in the Valentine's shindig, so I'll stop now. Besides that, I'm pooped. I hope you get to spend Valentine's Day with those who matter most to you. Its been a little while since the rhinestone clock collection post, so I thought today would be a nice time to share one of my sweeter collections with you. 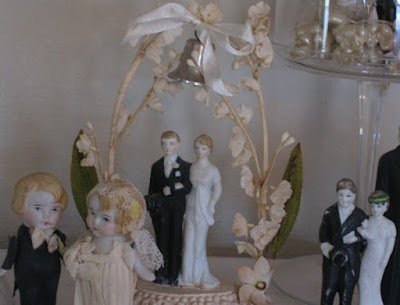 I started out just collecting any vintage wedding cake toppers that struck my fancy, however, with Ebay and all of the other online shopping possibilities out there, I could see that this could quickly become an overwhelmingly large collection. Not a problem if you only collect a couple of things...ahem, that would NOT be me though, so I had to reign myself in a bit. 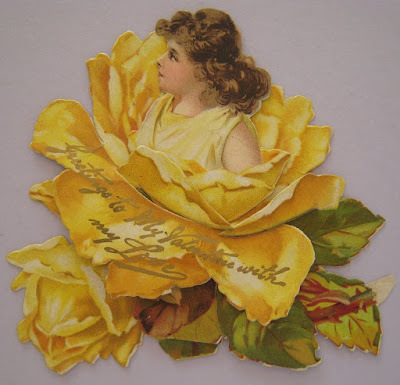 I decided that since my most favorite toppers seemed to be of the 1920-1930's era, I would limit myself to just those. I proceeded to sell the ones that didn't meet the criteria and then spread out my remaining little pretties so I could appreciate them fully. 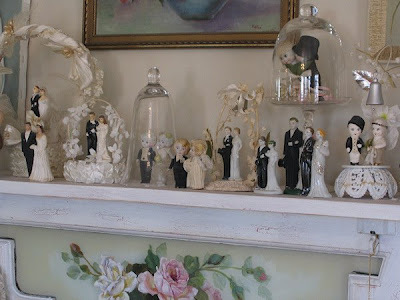 Then I put a couple of them under glass cloches which is a way I love to display all sorts of things. Not only does it put them in the spotlight, but it also keeps them from needing to be dusted! I've been tagged. 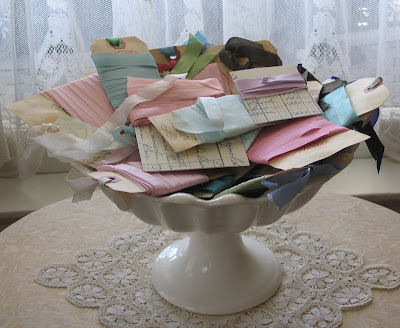 Candy tagged me and its taken me a "spell" to get around to doing all of the links in order to answer my questions. Probably not as interesting as I would hope, but here it is. 1. Link to the person that tagged you & post the rules on your blog. 2. Share 7 random/or weird facts about yourself. 3. Tag 7 people at the end of your post & include links to their blogs. 1. I do not go camping...ever. I do like to hike and bike. 2. I love to laugh. 4. I love a good hot cup of coffee and a nice cool glass of Chardonnay (not at the same time). 5. I love the ocean but live far, far away from one. 6. I enjoy my job as a microbiologist and need that logical, algorithmic thinking to keep me grounded in this world. 7. I love looking at art, making art, and being around artists. However, I need to engage my left brain regularly (see #6) or I get so caught up in the creative process that I forget to do stuff like pay bills or pick up the kids from school. I'd love to know more about so many people, but I'm going to have to be somewhat selective since I can only pick 7. So, here's the old shout out to Heather, Bethie, Shannon, Joy, Ronda, Sylvia, and Tracie. I know time is precious, so I won't be hurt if you can't participate, but if you can, great, I'd love to know more about you! And just a quick Happy Birthday to Mr. French Laundry! 57 years young today. 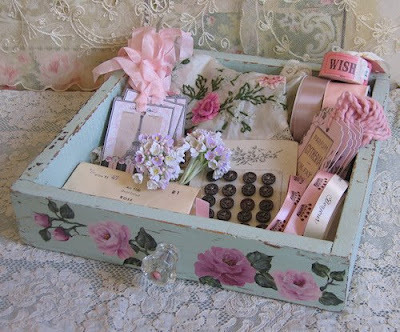 I thought this little handpainted drawer was just divine with its old green paint, pretty pink handpainted roses, and glass knob. But then as I was setting up my pictures for listing it on Ebay, I thought it would be fun to show it with some of the pretty items I have procured this week after visiting some wonderful online shops which I have actually come across by blogging...who knew? Anyway, many of those items just happen to be PINK, hence the relevance for a PINK SATURDAY post, hosted by Bev at How Sweet the Sound. My creative juices start flowing just looking at this box of pretty ribbons, millinery, and wish tickets from Andrea and gorgeous Paris inspired gift tags from Amy . The beautiful handpainted drawer is available by clicking here. I think I'll organize my creative bits and bobs something like this once my art studio is finished being built. Organization AND beauty = a winning combination, don't you think? Well, I have an antique sale to attend tomorrow, so I simply MUST cut this one short.